SO! You’ve been blazing all along all year long and you’ve been recording auditions and projects right and left…and then….DECEMBER hits! What happened?!?!? Where did all the work go? It’s notoriously slow during the holidays…and then it picks up again after the turn of the year. Same as always. It’ll get better. So what can you do to stem the bleeding and get some additional work? Well, what else can you do? I do video transfer to DVD, audio transfer to CD, video production, videography, CD/DVD duplication, and other things like that. What can you use your existing media gifts and talents on, to generate extra revenue? Gotta put your thinking caps on for this one…find creative ways to stay alive, and to continue to put bread on your table. Think think think! Here are some great ideas, courtesy of The Job Network! 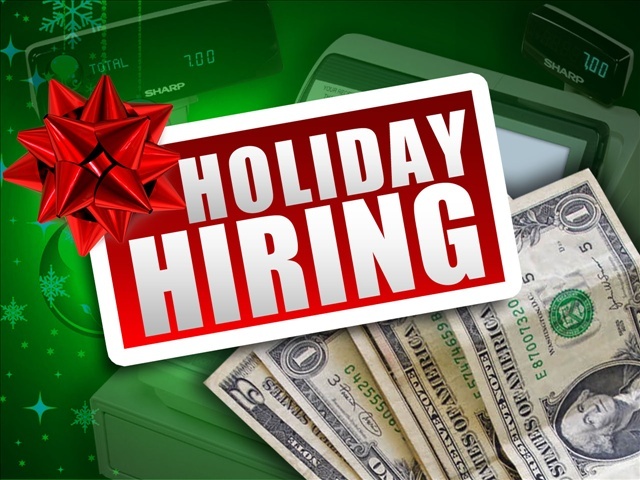 ‘Tis the season…to think about whether you want a seasonal holiday job this year. If you wait until the Black Friday ads are out and Starbucks unveils its holiday coffee cup designs to start thinking about what you want to do for your seasonal holiday job, it’s likely too late. So we’ve got some of the best part-time holiday gigs this year, to help you seize those early opportunities to make extra cash this holiday season. But before you get started, there are a few checklist items you should have ready, so that you’re ready to apply for jobs as they come up—because seasonal hiring can move awfully fast. Have your interview outfit ready to go. For a seasonal job, this may be more casual than the traditional dark suit. Whatever outfit you choose, it should be neat (no loose threads or weird hems), cleaned, and ready to go at a moment’s notice. Get in the right mindset. Holiday jobs are likely to demand your time during unconventional or inconvenient shifts. Make sure your mental expectations are aligned with a potentially hectic schedule that doesn’t leave you with a lot of free time or holiday down time. Let’s look at some of the top opportunities this holiday season, from the classic (retail) to less orthodox jobs you may not have considered. When you think of “seasonal part-time job,” you probably think of a role in a busy retail store, helping keep shelves stocked while hordes of holiday shoppers come through looking for the perfect gift. And that’s because it’s a perennial opportunity for people looking for temporary work over the holidays. You don’t need to commit to retail as a career for this kind of job, but it can also be a great experience-builder if you want to seek more retail opportunities in the future. This tends to be an “all hands on deck” kind of job. You may be tasked with assisting customers on the floor, completing sales as a cashier, or working behind the scenes with inventory, merchandising, and stocking—whatever needs doing to accommodate the holiday crowds. If this is the route you want to take, start with the big retailers (Target, WalMart, Kohl’s, etc. ), but don’t be afraid to look at every store in your area and see if they have any “help wanted” notices popping up either in store or online. What you’ll need: A good retail resume, strong customer service skills to deal with every kind of customer imaginable, and time management skills. You may also be asked to work long or odd shifts throughout the holidays, so flexibility is key. We may still be firmly in autumn mode right now, but as the Starks tell us, winter is indeed coming. Many private snow removal companies and towns/cities are already looking ahead to the snowy season, hiring part-time and seasonal help to prepare for the winter’s storms. This is less of an option if you live in, say, Florida, but if you live in an area that sees its share of snow and ice over the winter months, it can be a good option. What you’ll need: A valid driver’s license and the ability to handle heavy equipment like plows, sanding trucks, and sidewalk snow removal tools. The holiday season means Christmas tree sales, either at dedicated tree farms/garden centers, or big box stores that also sell trees (think Home Depot or Lowe’s). From Thanksgiving to Christmas, these employees help meet the influx of customers, selling and preparing trees for travel home, as well as selling and stocking other seasonal plants. What you’ll need: The ability to lift heavy objects, stand for long shifts, and work outdoors in varying conditions. Another classic seasonal job is playing Santa (if you’ve got the girth and the lap—beard is usually provided for you), or his entourage (think elves and Mrs. Claus). This job has been a mainstay of malls and department stores for decades and usually runs from Thanksgiving-ish through to Christmas. But Christmas actors aren’t the only ones who are needed on a seasonal basis—if you look early enough (say, September), there are also a lot of Halloween-themed jobs available, working in haunted houses or amusement parks as scary extras. What you’ll need: Acting skills, people skills, and customer service skills. All the Santas and the elves come with a very important seasonal role: the photographer. Individual stores, malls, and events hire photographers every year to capture the holiday merriment for posterity. Seasonal photographers and assistants are responsible for taking photographs, taking orders, and potentially developing/editing photos as well. What you’ll need: Portrait photography skills, photo editing skills, organizational skills (after all, no one wants mistakenly sent pictures of some other family’s kid sitting on Santa’s lap), customer service skills, and problem solving skills, because camera snafus while there’s a long line of people waiting to see Santa can be problematic. It also can’t hurt if you have a knack for getting toddlers to smile at just the right time for a lasting photo. This is one of the more unusual ones on the list, in that you may not think of it as a “seasonal” job. But the fact is that every November there’s some kind of election going on in your town or district, and staff is needed to manage the voting process, check in voters, and ensure that election laws and best practices are being followed. Many polling places rely on volunteers, but some towns and cities hire poll workers to manage the crowds and ensure smooth voting and accurate reporting. What you’ll need: Strong organizational skills, and a solid sense of civic duty. Behind the retail scenes, there are thousands of warehouse workers needed to make sure that goods are getting where they need to go throughout the holiday season, whether that’s store shelves or customer orders shipped directly. Companies like Amazon in particular bulk up its warehouse staff during the holiday season, in anticipation of keeping operations running at peak volume around the clock. Other top employers in this area include shipping companies like FedEx or UPS, which keep packages moving at a high volume to accommodate tight shipping deadlines and incredibly high demand. What you’ll need: The stamina to work while standing for long periods of time, as well as the ability to lift heavy objects. These jobs may also involve the use of heavy equipment to move freight. Warehouses aren’t the only logistics centers that need extra help during the holidays. Companies typically hire extra drivers for the season, to accommodate the higher volume of packages going in and out. What you’ll need: A valid driver’s license (and possibly a Commercial Driver’s License as well), a clean driving record, and excellent navigation and time management skills. Customer service is another major area where companies need extra help during the holiday season (and slightly beyond, to accommodate post-holiday issues with gifts). These seasonal employees may work on site or remotely via phone or internet chat to answer questions, help customers troubleshoot issues, and escalate as necessary. Customer service can be a round-the-clock proposition, so you can likely expect overnight, weekend, or holiday shifts. What you’ll need: A solid customer service resume. You’ll need customer service skills first and foremost, as well as tech skills like handling multi-line phones, recordkeeping software, and internet chat programs. You’ll also need strong problem-solving skills, as much of your time may be spent helping to diagnose and resolve problems for customers. No one really likes to think about the looming tax season while in holiday mode, but after the new year has passed and life goes back to normal, seasonal tax associates are in high demand. Tax preparation companies hire temporary employees to accommodate the demand from January through April. If you have a background in financial math and familiarity with the U.S. tax system, this can be a good gig for you in the post-holiday season. What you’ll need: Strong math and accounting skills, a bachelor’s degree in a related field, and familiarity with tax preparation software. If you’re looking for a part-time seasonal gig, you have lots of opportunities to match your skill set, interests, and availability. The retail-facing jobs are perennial favorites for a reason (consistency, plenty of jobs available), but if retail isn’t your thing, there are lot of other options.